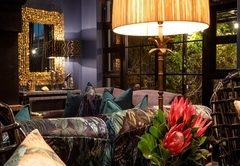 La Fontaine Guest House is a 4 star graded B&B offering Franschhoek accommodation in 14 guest rooms. La Fontaine Guesthouse will be transformed during a complete refurbishment during the winter of 2018. 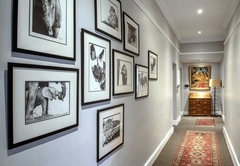 Less than three minutes walk from the historic Franschhoek village centre La Fontaine is the ideal guesthouse from which toexplore the various local and international award-winning restaurants, art galleries, and wine estates.This stylish establishment offers guests a varied configuration of standard deluxe, superior, superior deluxe and family deluxe suites. 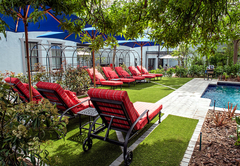 Not only is La Fontaine ideally situated, but also offers a comfortable, relaxing and friendly holiday experience in the heart of the Cape Winelands, South Africa. La Fontaine has fourteen spacious double bedrooms en suite; five upstairs, one downstairs in the main house; three set in a peaceful garden with pool and courtyard surroundings, a family garden suite. Facilities include an extra length King-size bed with linen, air-conditioning, a separate bathroom with a shower. There are bath sheets and bathrobes. There is a LCD TV, a safe, hairdryer and tea / coffee making facilities. Facilities include a larger room and an extra length King-size bed with linen, air-conditioning, a separate bathroom with a shower. There are bath sheets and bathrobes. There is a LCD TV, a safe, hairdryer and tea / coffee making facilities. These spacious rooms include an extra length King-size bed with linen, air-conditioning, a separate bathroom with a shower. There are bath sheets and bathrobes. There is a LCD TV, a safe, hairdryer and tea / coffee making facilities. 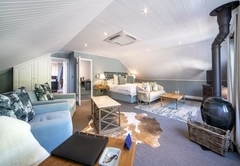 Boasting magnificent mountain views from its veranda, this suite includes an extra length King-size bed with linen, air-conditioning, a separate bathroom with a shower. There are bath sheets and bathrobes. There is a LCD TV, a safe, hairdryer and tea / coffee making facilities. Generous buffet breakfasts are served indoors or under the vine-covered pergola. • Wheelchair friendly in the Victorian section. • Off-street and secure parking. North-East facing and has magnificent mountain views of Du Toits Peak. The room has a queen bed, en-suite bathroom with full shower, DSTV and air-con. 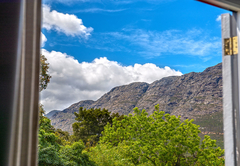 North-facing with magnificent views of Du Toits Peak and Franschhoek Pass. 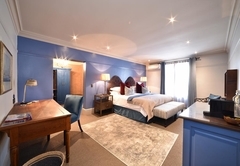 The room offers King-size, or twin-bedded configurations, bathroom with full shower, Victorian bath, dressing room, mini fridge, DSTV and air-con. 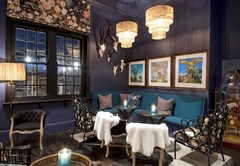 East-facing with magnificent mountain views of Du Toits Peak, Franschhoek Pass and Middagkrans. Queen-size bed, bathroom with full shower, DSTV and air-con. South-facing and has mountain views towards the Franschhoek Mountain, Skerpenheuwel and Matopje Peaks. King-size or twin-bedded, en-suite bathroom with full shower and Victorian bath, mini fridge, DSTV and air-con. Room opens out onto a shared guest balcony. South-West facing with mountain views towards the Franschhoek Mountain, Skerpenheuwel and Matopje Peaks. Queen-size bed, en-suite bathroom with full shower, DSTV and air-con. Room opens out onto a shared guest balcony. 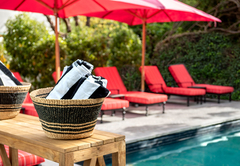 This suite has a separate entrance with private patio which opens out onto the shared pool and garden areas. King-size or twin-bedded, en-suite bathroom with bath and overhead shower, mini fridge, fireplace, DSTV and air-con. 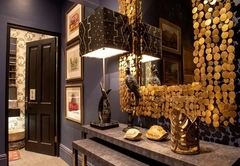 This suite has a separate entrance and opens out into the breakfast patio area facing the main house. En-suite bathroom with bath and overhead shower, fireplace, DSTV, air-con and mini-fridge. This unit is close to the garden and pool areas. 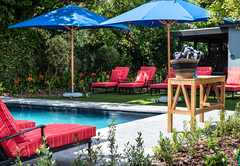 This stylishly appointed garden suite is ideal for a romantic getaway and is situated in the pool and garden area. Queen-size bed, en-suite bathroom with full shower, fireplace in the extended open plan sitting area, DSTV and air-con. This secluded and private garden suite is suitable for families (2 adults + 2 children) and offers guests a peaceful patio near to the swimming pool with en-suite bathroom and full shower. DSTV, air-con, fridge, microwave and fireplace, camping cots. King-size or twin-bedded room with en-suite bathroom with full shower and Victorian bath. DSTV and air-con. Original wooden floors, high ceilings and window shutters add to the Victorian charm of this room. 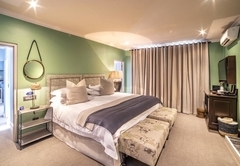 King-size or twin-bedded room with en-suite bathroom with full shower and Victorian bath. DSTV and air-con. Wooden floors, high ceilings and wooden shutters add to the charm of this room. King-size or twin-bedded room with large en-suite bathroom with full roll-in shower, grab rails, and optional shower chair. This is a wheelchair accessible room and doors open out onto the veranda and garden area. DSTV, air-con, wooden floors, high ceilings. King-size or twin-bedded in the main room, inter-leading door to single room with 1 x single bed and en-suite bathroom with full shower. 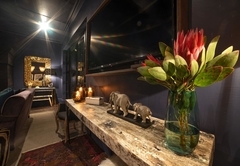 This suite is suitable for 2 adults and 1 child, or 3 adults, and has DSTV and air-conditioning. Response timeLa Fontaine Guest House typically responds to requests in 5-10 minutes. Child policyChildren 12 years and older are welcome, children 0-11 years are welcome by prior arrangement in the Garden Rooms only.